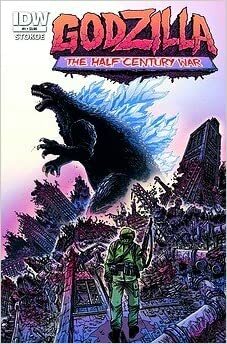 Introducing a new and exciting look at Godzilla’s reign of destruction, courtesy of Orc Stain creator James Stokoe! The year is 1954 and Lieutnant Ota Murakami is on hand when Godzilla makes first landfall in Japan. Along with his pal Kentaro, Ota makes a desperate gamble to save lives… and in the process begins an obsession with the King of the Monsters that lasts fifty years! Don’t miss the first decade in a tale of a lifetime!